When handled well, applying to college can be simple, stress free, and straightforward. Unfortunately, for most college applicants, the admissions process is anything but easy. Almost ALL college applicants commit the same fundamental mistakes that turn the college application process from a breeze into a nightmare. Make sure you use proper grammar and spelling in your applications. Make sure all the handwriting in your applications is legible. Make sure you submit your applications on time or they will not be reviewed. Sign all the required signature lines. Make sure to fill out ALL required information. Make sure to put the proper name of each school in each application (nothing worse than saying “the reason you want to go to Harvard” to Davidson…). 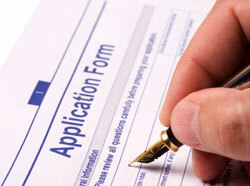 Make sure you actually SUBMIT your online applications – don’t just fill them out and save them. Using a silly or ridiculous email address ([email protected] is not going to impress admissions committees). Believe it or not, plenty of students each year make all of the mistakes above, forgetting to even submit their applications or to fill in all the required fields. However, as damning as these mistakes can be, they’re small beans compared to the fundamental mistakes that most students and parents make during the application process. There are seven FUNDAMENTAL ERRORS that prevent most applications from being accepted, and they have NOTHING to do with administrative or obvious mistakes. This guide covers every major pitfall and provides actionable advice on crafting the optimal college application. There is so much bad college advice out there that most parents, well-meaning and aiming for the most ambitious schools possible, actually SABOTAGE their children’s admissions chances by committing ANY ONE of the seven fundamental mistakes discussed in this guide. 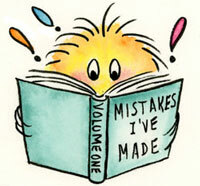 While most parents make a combination of the seven mistakes, even one can completely derail your chances of admission. I recommend you read through this guide and take notes – this information was put together by working with hundreds of students one-on-one, interviewing some of the best college consultants in the country, and looking at admissions trends for the 100 most competitive schools in the country. By the time you’re finished reading this guide, you’ll know how to put together a better college application than 99% of the students you’re competing against. Just be sure to act on this information – it won’t do you any good unless you put it into practice. Section Summary: The world is full of misleading college application advice. There are seven mistakes in particular that’ll keep you from getting into your dream colleges – by following the advice within this guide, you’ll be crafting a better application than 99% of your peers.